The trade partner will define the delivery time and cost. Read Webshop Terms and Conditions for more details. 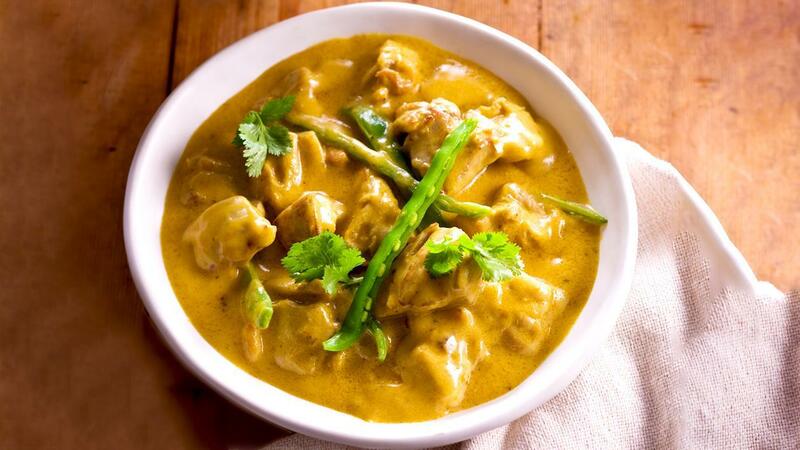 Chicken curry is perhaps the best comfort food around. Enhance the aromas of this classic dish with a delightful tang from Knorr Pronto Tomato Sauce and a spicy touch from Knorr South East Asian Spice Paste. Be amazed at the timelessness of this dish. Product successfully added to favourites! *Indicative price (excluding 7% GST) Product not available. Heat up pot with oil, stir fry SEA Spice Paste, Tomato Paste till aroma is released. Add in chicken into the pot and stir fry for 5mins. Add in water and coconut milk, then bring to boil and let it simmer for 10 mins. Add in snow peas, concentrated lemon squash cook for 5 mins. Lastly, fold in the desiccated coconut and set aside. In a tray or insert, add in rice and water. Steam the rice in the steamer for 35mins. Portion rice onto serving bowl, pour the spiced curry chicken over the rice. Register for our E-Newsletter to keep up to date!